The holiday shopping season is right around the corner, and we know that it can take a toll on the mind and body. But there is good news.We have gone out and done the leg work for you, researching all the top KC | OP products you should be buying this year. We have all seen the local apparel for adults, but No Coast Creature has a local line of shirts and prints, just for the kids. 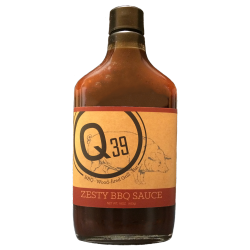 This is the BBQ capital of the world, so why not start them early! There is nothing cuter than a kid running around wearing a snapback. 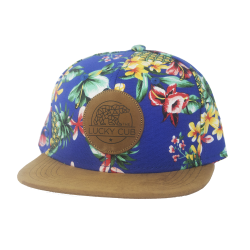 The Lucky Cub has launched a line of hats for the child in your life. These hats are sized for kids ages 2-9 years. Where were these when I was a kid? Nickel and Suede has taken the local jewelry scene by storm after launching in 2014. 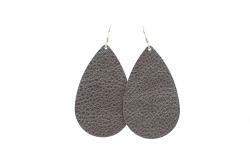 They specialize in lightweight leather earrings, coming in every color and texture you could imagine. 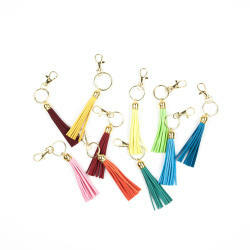 These keychain tassels are the perfect piece of flair to spice up something boring, like keys. 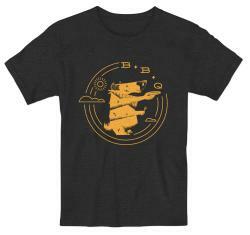 These come in 9 colors to match anyone’s style. I confess, I own this wallet. But I can’t tell enough people about how great it is! 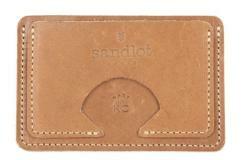 This is a great wallet that functions well and looks cool, too. Not only is this belt practical, it is also very stylish. 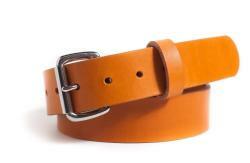 Most men wear belts, so why not look good doing it! Nothing says the holidays like chocolate. Andre’s Rivaz in Overland Park has a wide selection of holiday gifts to choose from. 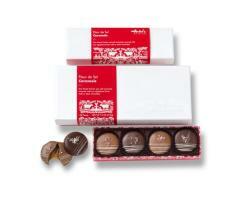 Their gift boxes are sure to please even the pickiest on your shopping list. For all the pie fans in your life, this is a homerun. 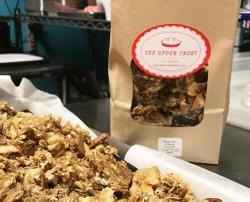 This pecan pie granola is the next best thing to actually getting someone a pie, which isn’t a bad idea the more I think about it. Be the hero of the holidays and slip this in someone’s stocking. Pull it out if the turkey is too dry, or to eat with a spoon, both options sound great to me. 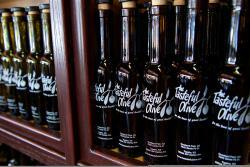 One of the best-selling items at The Tasteful Olive is their herbs de provence infused oil. This is a perfect host gift for the holiday parties. Bring some fresh bread for dipping, just make sure they share! The only thing better than a cup of coffee in the morning, is a fresh cup of coffee in the morning that was locally brewed with beans, and then delivered to your doorstep. 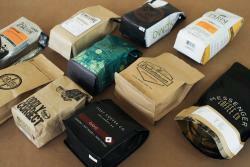 Luckily, you can do that with a coffee subscription! Is there a craft beer lover you are buying for? 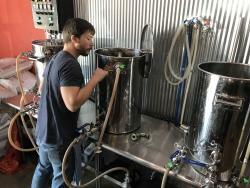 If so, give them a total craft brewing experience and let them brew their own beer! They will go through the process from start to finish and be able to take home their own brew 2 weeks later. 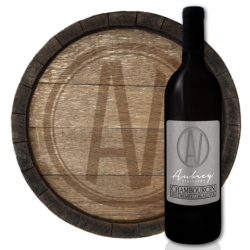 This is a medium body red wine with smoky and earthy aromas and flavors of wild berries and cherries--in layman&apos;s terms, this is perfect for winter. What makes this wine even better is the fact that the vineyard is located in southern Overland Park. 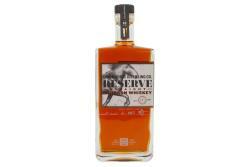 Union Horse’s Reserve Straight Bourbon Whiskey was listed as a top 100 spirit from around the globe by Wine Enthusiast magazine. Couple that with the countless medals it has been awarded by other distilling competitions, and this makes a can’t-miss gift for the whiskey enthusiasts. 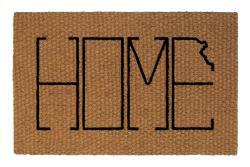 Nothing says “Welcome to my home” like a doormat with the word “HOME” in the shape of Kansas. This design was Flint & Field’s original design, and can be found as a wall print as well. Based in Overland Park, Art by Jen F offers a wide variety of handmade clay products. 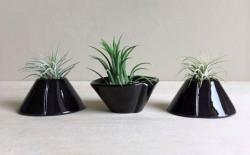 They range from air plant pots to tiny teaspoons. See some of her other products if you want a handmade, one-of-a-kind gift. 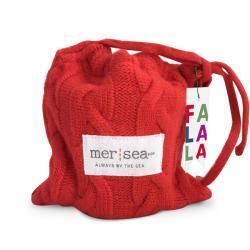 A holiday scented candle that comes in a sweater? Sign me up. Stop by The General Store in Downtown Overland Park. Peruse through their candle collection as well as all their other local goods to wrap up your holiday shopping. Need more shopping ideas? There are plenty of options in Overland Park. You can stroll through the shops in Downtown Overland Park, stop by Prairiefire, or stay indoors and hit up Oak Park Mall.